Whether you enjoy wide or narrow fairways, chipping or putting, a light round for fun or a competitive game, New Jersey’s fairways match your golfing desires to a tee. Home to some of the most top-rated golf facilities in the country, golfers have long been attracted to New Jersey’s pristine golf courses. 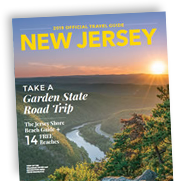 New Jersey has a long tradition and strong association with the game along with some of the highest rated public and private courses in the country. Golfers have their pick of more than 150 of the finest public courses in the nation. Nestled on miles of breathtaking, rolling greens, golfers in New Jersey find their ideal challenging course. The consensus number-one course in the country (and on some lists, the world) is Pine Valley, located in Clementon. Other prestigious and top-ranked courses in the state, as rated by the leading golf publications, include both the Upper and Lower Courses at Baltusrol, Plainfield Country Club, Somerset Hills Golf Club, Trump National, Ridgewood, Galloway National, Bayonne Golf Club, Hidden Creek, and Hollywood. For golf with incredible panoramic views, play at the Robert Trent Jones designed Crystal Springs Golf and Spa Resort in Hamburg. The United States Golf Association (USGA), which oversees 13 national championships and helps set the rules of golf, is based in Somerset County’s Far Hills in the center of the state. The USGA Museum and Arnold Palmer Center for Golf History houses one of the world’s premier collections of golf artifacts and memorabilia. Its exhibits tell the 100-plus-year story of golf in America. The museum is open to the public. For more information, see the list of the state’s hundreds of outstanding public and daily-fee courses.